All-day breakfast at the KL branch of a restaurant that has people lining up around the corner of its Singapore location? You don’t have to ask me twice. And here I was lucky enough to beat the crowds that will inevitably be lining up once people get wind of the availability of comfort food that so many expats are missing from home. This place takes its tagline, “no place like home” very seriously. 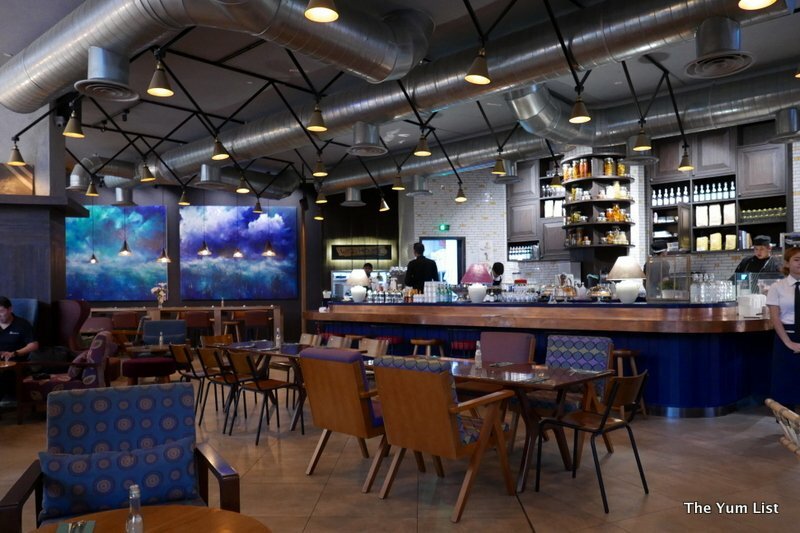 Sitting on the couch in front of the warm wood façade of their location on the sixth floor of the Pavilion shopping center, I poured over a menu that sent me back to the all-day breakfasts from my favorite haunts back in the States – but Wild Honey take those comfortable favorites and gives them the extra panache that has everyone talking in Singapore. This is a place where you want to bring a healthy appetite. The portions are generous and the food is filling. Fortunately, there were three of us splitting these dishes. 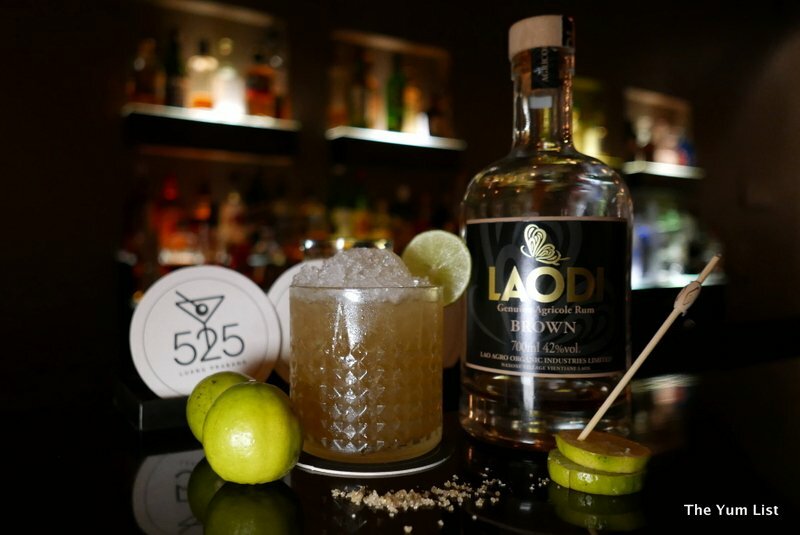 We started with the Byron Bay (RM 28), named for the sunny Australian location where this is apparently eaten with abandon. 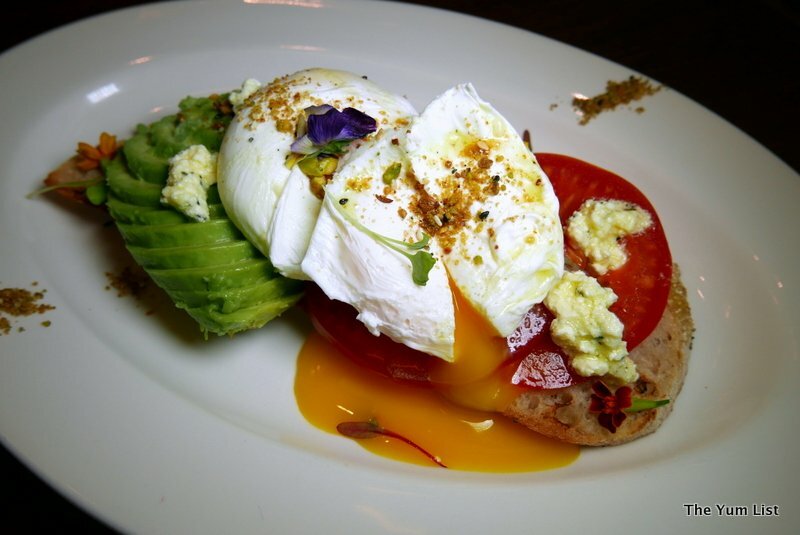 I think Monica’s Aussie accent got a bit more pronounced as she tucked into this dish: a crisp piece of sourdough toast (made in-house, like all their bread) with perfectly ripe slices of avocado and tomatoes and a poached egg on top, and dukkha and goat cheese to finish it off. A note about the dishes on toast – gluten-free options like potatoes are available for those who request them (though I would certainly not recommend missing this wonderful sourdough). Our next dish was my personal favorite – the Golden Triangle (RM 40). I wouldn’t have thought to put these unique flavors together for breakfast, and yet they work amazingly. Crispy, tempura-fried soft-shell crab is the star of this show, giving the dish its crunch. 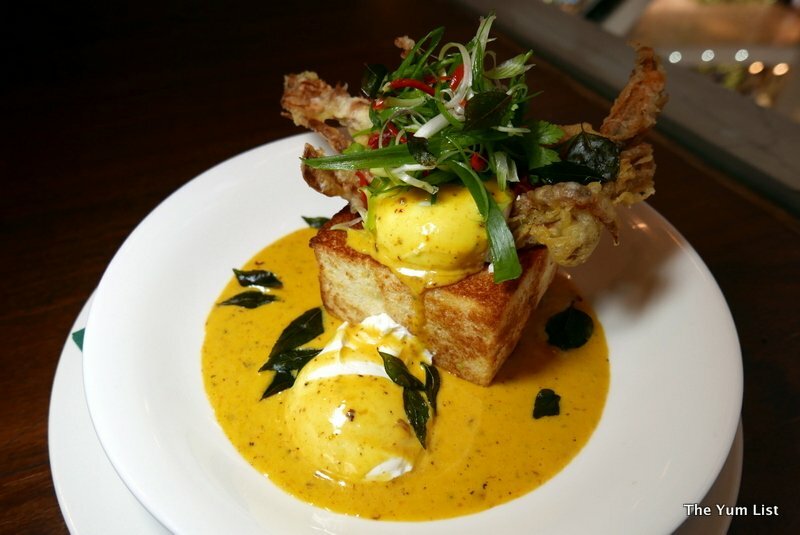 The crab sits on top of poached eggs in a brioche box with laksa sauce and fried curry leaves. The combination is mildly spicy and enormously tasty. 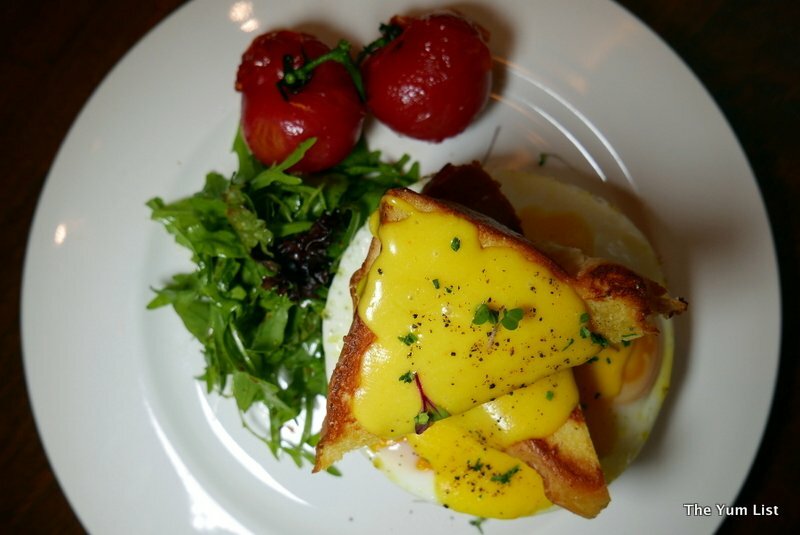 Not to leave our French friends out of this comfort-food-fest, Wild Honey offers the Parisienne (RM 30), which reminded us of a croque monsieur. This dish is a breakfast sandwich of sorts, starting with savory French toast made from homemade brioche. Between the layers of brioche, they put turkey ham, Dijon mustard, and plenty of gooey melted Swiss cheese, and then they top it with a fried egg and hollandaise sauce. It comes with fresh arugula salad on the side with a light dressing. A fan of all things melted-cheese, Monica dubbed this one her favorite. From the comfortable cousin Francais of our beloved grilled cheese, we went on to wake up our palates with the Mexican breakfast (RM 28), a breakfast burrito with fluffy scrambled eggs, breakfast potatoes, black beans, chunky vegetable salsa, sour cream, spicy guacamole, and even spicier Chimayo sauce that bites you back when you bite into it. This dish looks simple in its unassuming burrito blanket, but it is full of flavor. I would definitely order it again, but I’d make sure to bring an appetite and a half for it. Our last savory dish is designed for the hard-core carnivore who likes steak for breakfast. 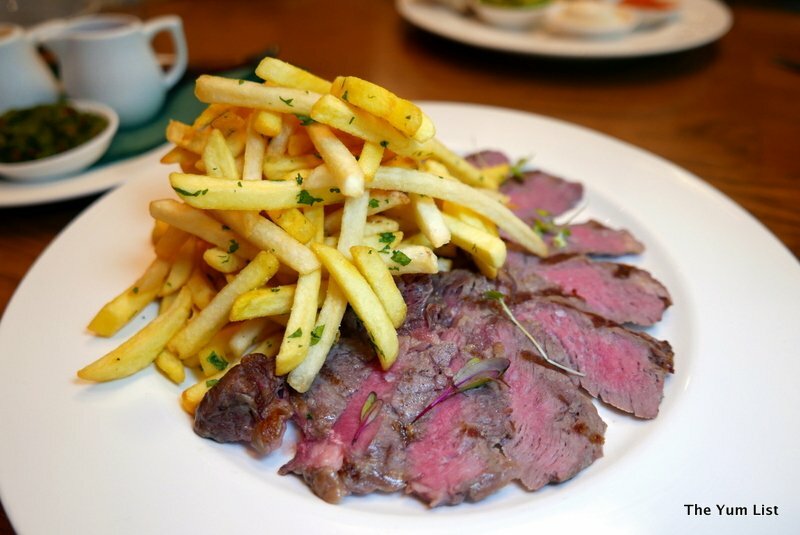 The Steak Frites (RM 60) is 200 grams of Aussie grass-fed sirloin, grilled and sliced, and served with crisp fries on the side. It comes with a choice of three sauces – tomato chutney, béarnaise, or the slightly spicy chimichurri, made with fresh herbs. To make this into the classic steak and eggs breakfast, add another RM4 and they will add a fried egg. The meat was cooked just as we ordered it, and it was tender and simply seasoned with salt. Of the three sauces, we preferred the chimichurri sauce, but the meat was good enough on its own, sauce-free, according to the steak experts I was dining with. The last dish we tried was designed for the breakfast-lover with a sweet tooth. 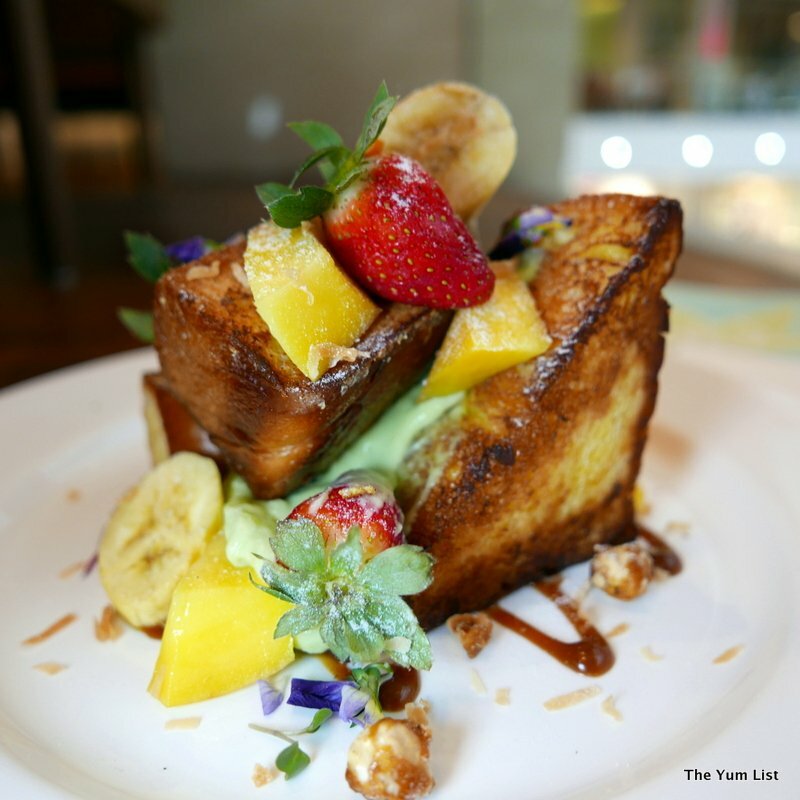 The Tahitian Breakfast (RM 28) takes French toast to a whole new level. 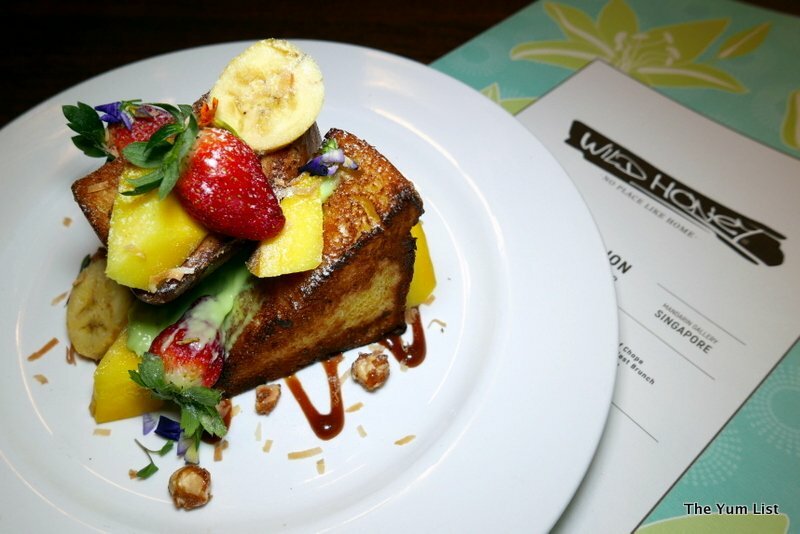 They start with a fluffy, spiced French toast, and then cover it with vanilla, pandan cream, grilled mango, baby bananas, salted caramel sauce, and toffee’d hazelnuts. 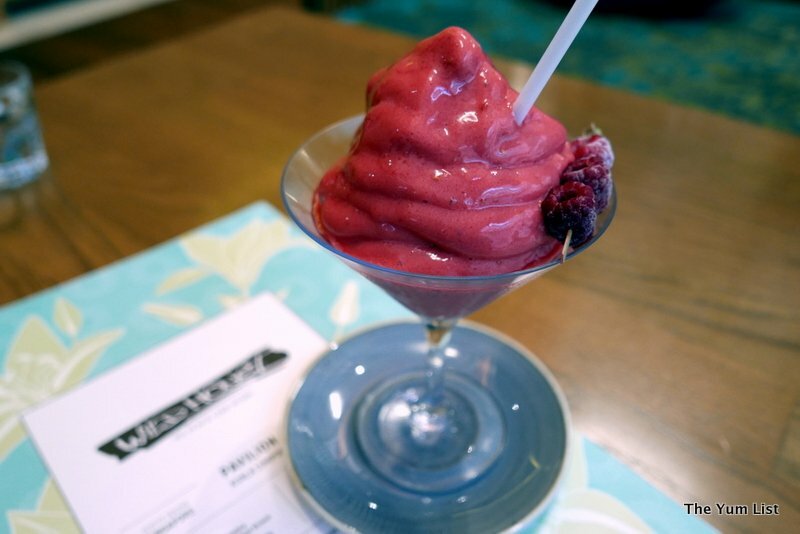 They throw a couple of strawberries on top for good measure, and the whole dish is just as sinful as it sounds. I could have lived on the hazelnuts alone. This is a must-try for French toast fans, and for us, it was the perfect way to wrap up our meal. 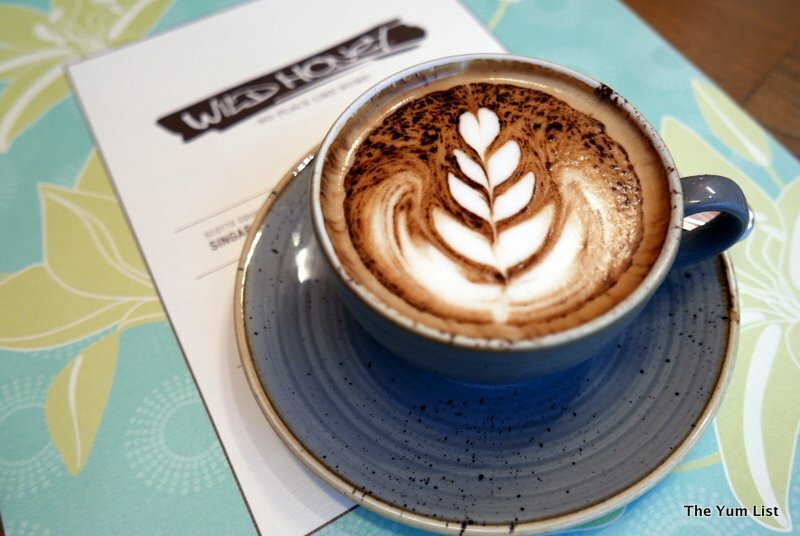 Wild Honey is wildly popular in Singapore for a good reason. 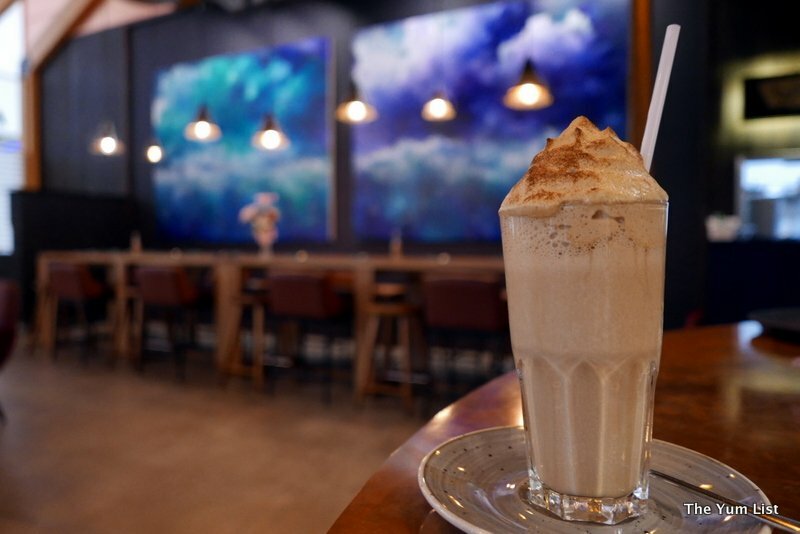 It’s definitely worth leaving the ever-popular ground floor of Pavilion to discover their homey charms with a unique twist. Don’t miss: the Golden Triangle and the Parisienne. 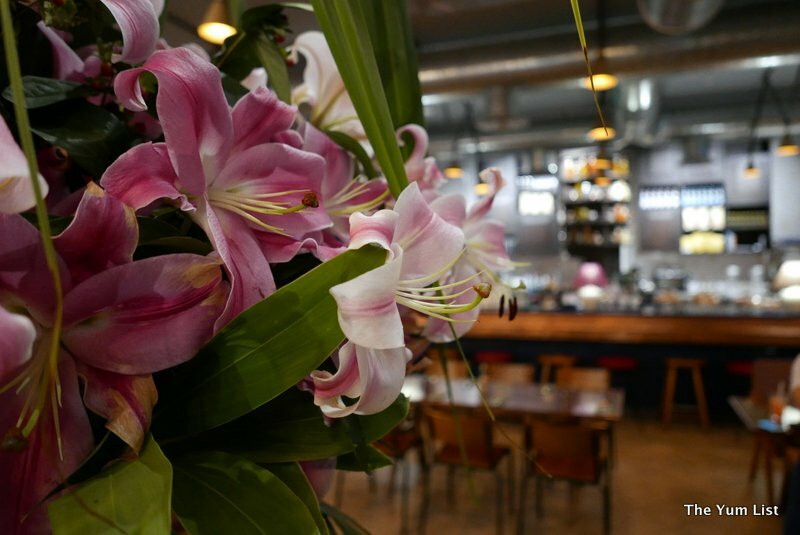 The decor and atmosphere in this place is lovely! 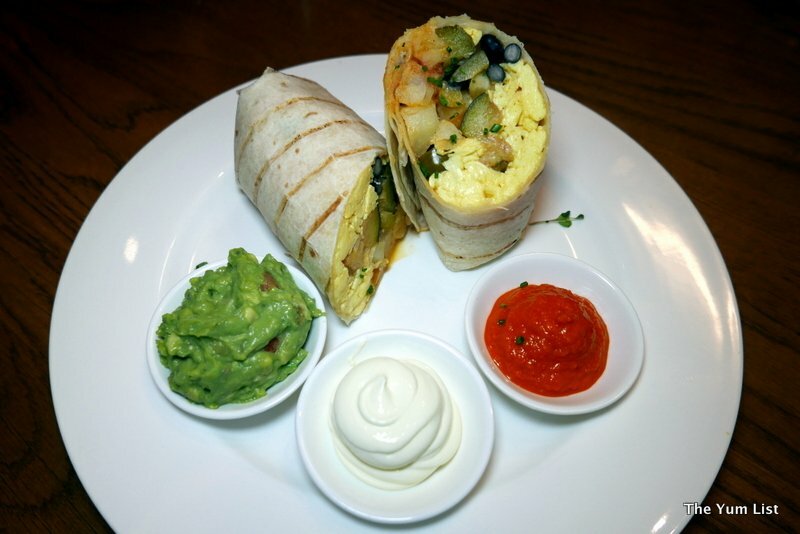 Oooo…the egg…and the avocado! I’d love to try the Mexican though, the dips look good. I hope they will open a new branch in London soon one day! Hello, hubby and I enjoy the places that serve breakfast all day, YUM! Everything looks delicious. Thanks for sharing, have a happy weekend! Wow, everything look so delicious!